You’ve created content, optimized your content experience, and distributed that experience to your target audience. Your content marketing efforts are far from over, however. In order for your content marketing strategy to be truly effective, you need to identify areas of improvement and optimize them accordingly. The only way you’ll be able to do this is to measure, analyze, and draw insights from your content’s performance. 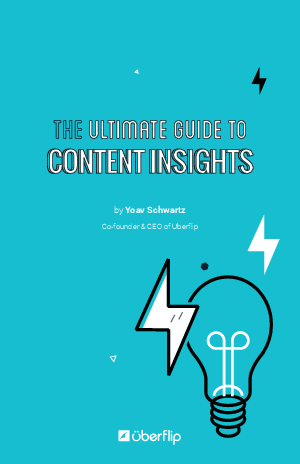 This is where the final pillar of The 4 Pillars of Content Marketing framework comes into play: Content Insights. Where should I invest my time and money when it comes to content creation, experience, and distribution? What role does each content asset play in the buyer’s journey? How can I increase marketing and sales effectiveness to scale growth? How is content helping us meet our business objectives?